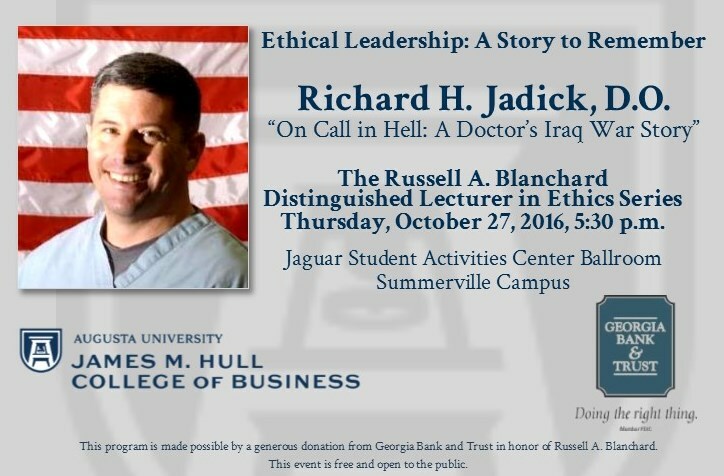 The James M. Hull College of Business will be featuring Dr. Richard H. Jadick, author of “On Call in Hell”, for the 2016 Russell A. Blanchard Distinguished Lecturer in Ethics. Richard H. Jadick, D.O. is an American Naval surgeon who was awarded the Bronze Star with “Combat V” device for heroic valor in January 2006. 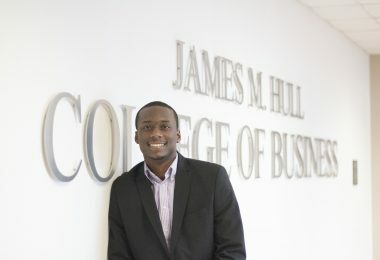 He was credited with saving the lives of 30 Marines and sailors during the Second Battle of Fallujah.